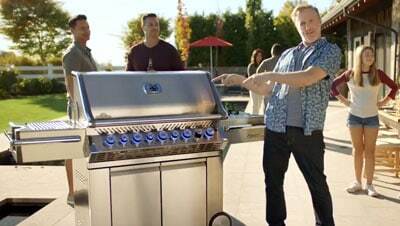 Looking for a grill that will help you prepare delicious barbecue while adding to the style of your outdoor space? Napoleon gas grills offer precision grilling and an elegant design that will make your outdoor kitchen the envy of your family and friends. Choose from the popular Prestige, Prestige Pro, LEX, and Rogue series of Napoleon gas grills today, and find out for yourself why Napoleon is at the top of the bbq grill food chain.